Get started today with the first week of my biomechanics course. How to Build a Supple & Strong Body for Sport and Daily Life. Receive the first week of my online course for FREE. This first week focuses on pelvic function. The pelvis plays a major role in not only the lower body, such as leg length discrepancies, low back pain, and sciatica, but also the upper body as well, including shoulder pain. 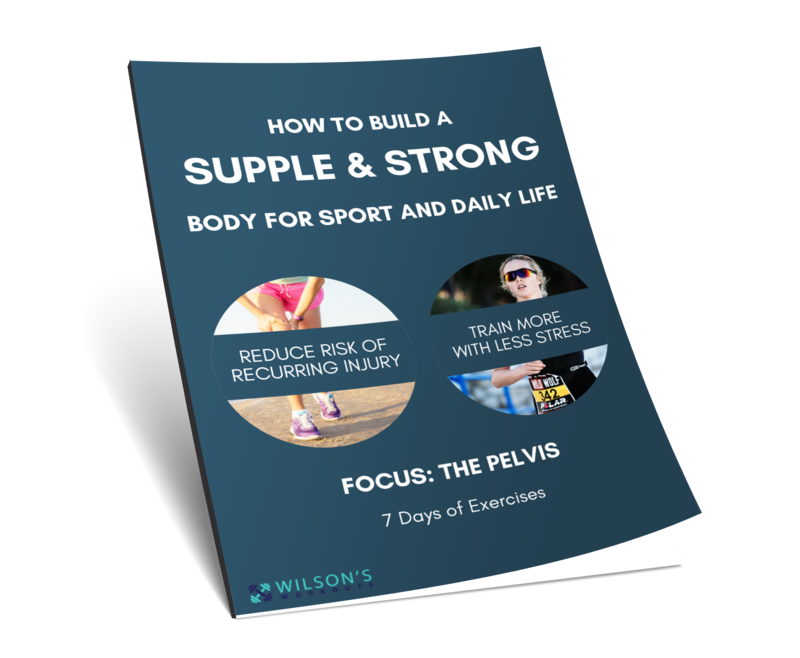 An email with a PDF outlining the four exercises to improve pelvic function, and which exercises to perform over the next 7 days. You’ll also receive an email each day that includes video instruction on how to perform the exercises for that day. This is the first step in re-aligning your mechanics for a more resilient and capable body.